The Soundshine promotional tour of Japan has begun well. 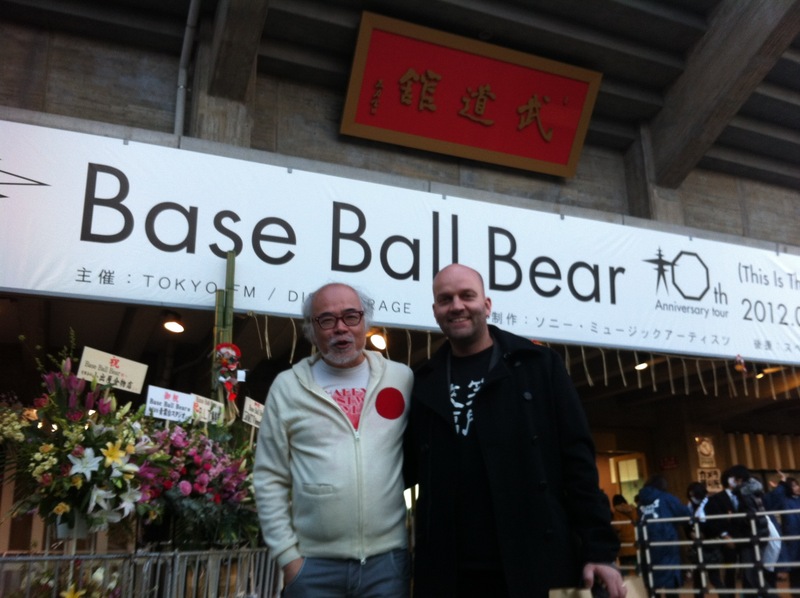 On the first day – after recovering from jetlag and New Year’s party in Sweden – my wife and I were invited by our good friend Kimikazu “Kaz” Harada to see a show at the Budokan with the Japanese band Base Ball Bear. 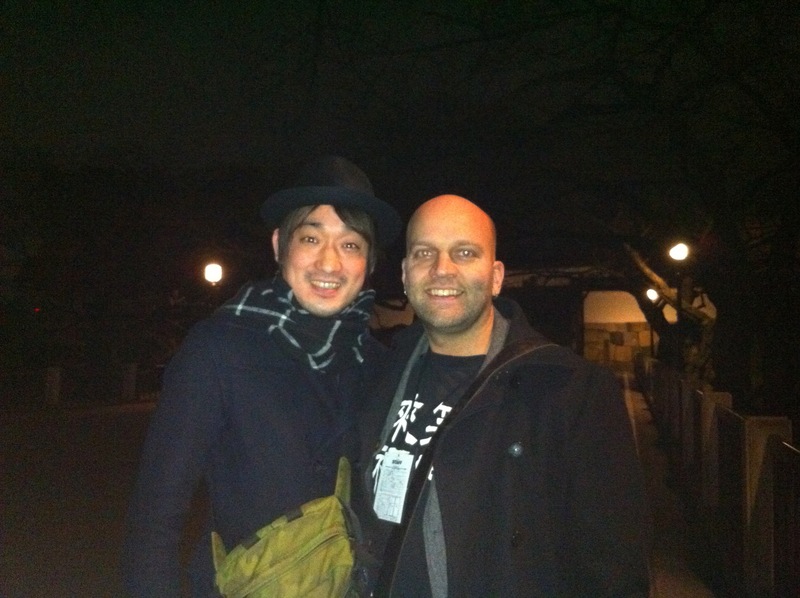 Kaz is an influential and highly regarded profile in the music business (manager for among others Tamio Okuda, and Puffy) and as the generous and welcoming person he is he arranged V.I.P. seats and backstage passes for us. You can check out his blog here. Only the fact that I was going to see the legendary Budokan from inside made me excited. It’s a venue famous for many, many legendary concerts. Most importantly for me of course the Beatles concert in 1966 from which you can see a clip here. We had modest expectations on the concert since we were not familiar with Base Ball Bear before but we were very positively surprised! The concert experience became a really great one due to the fact that they really made a spectacular and highly entertaining show – which lasted for 2,5 hours! And also due to the extremely devoted audience that seemed to be completely “in synch” with the band. We had almost as much fun looking at the audience interacting with the the band – making gestures, clapping, and singing along – as watching the band themselves. When the concert finished we were supposed to meet with Kaz and some record label people but also with the band themselves! Here’s some picture from the meet & greet. 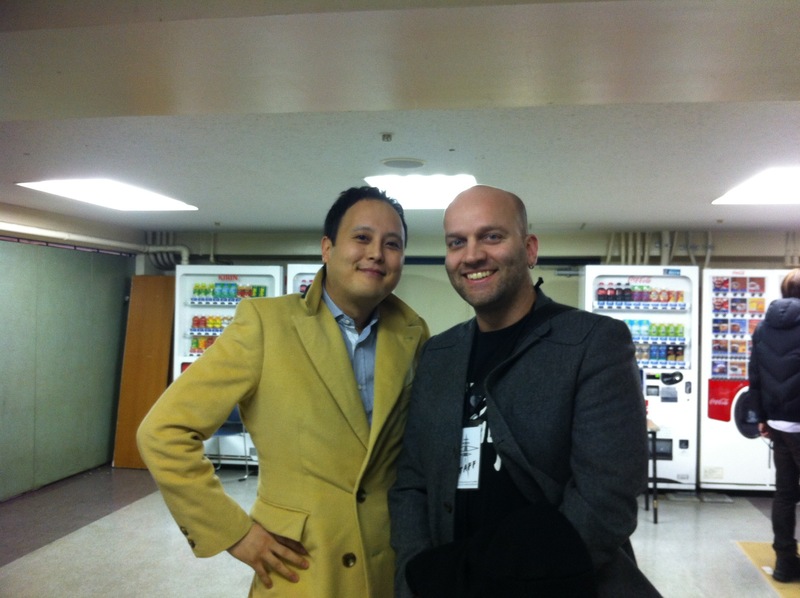 Me together with Akito Katayose who just like me once produced the great Japanese band Fujifabric. 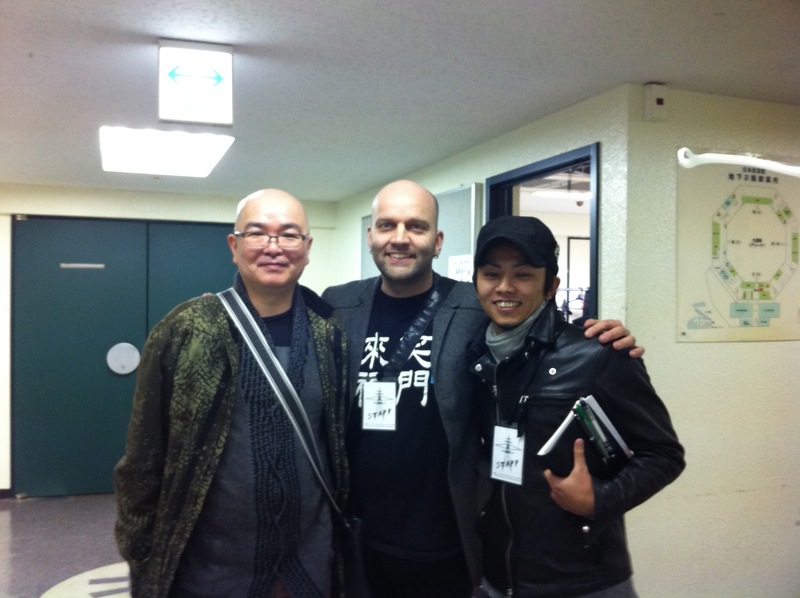 Also together with the bass player Tomoyuki Miyakawa from the band Hige and finally together with a couple of friends from EMI Japan. Why I did it? I guess subconsciously I felt I belong on stage!? 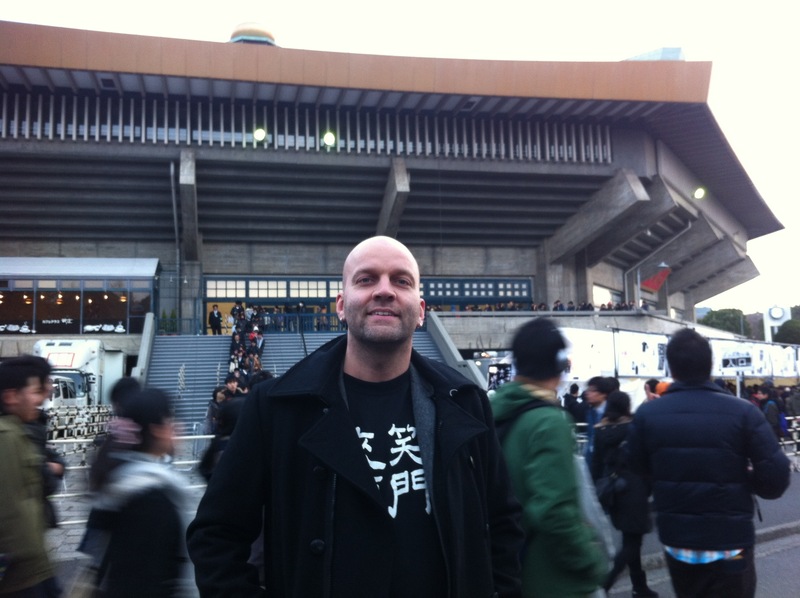 But I guess I will have to realize that the Budokan might still be a little bit too big for me….